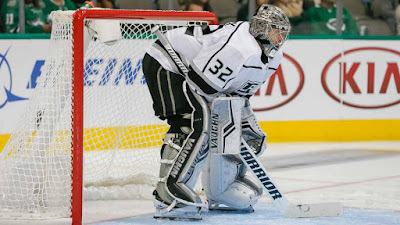 The Los Angeles Kings have activated goaltender Jonathan Quick has been activated off of injured reserve, Kings Vice President and General Manager Rob Blake announced on November 27. Also, goaltender Peter Budaj has been assigned to the Reign and forward Trevor Lewis was placed on injured reserve, retroactive to Nov. 16. The 32-year-old Quick has missed the last 12 games due to a lower-body injury. In four games this season, he has a .845 save percentage, a 4.55 goals-against average and posted an 0-3-1 record. Budaj made two appearances during his recent recall and has played in three games overall this season with the Kings.